Legislative instruments are automatically repealed (or sunset) after 10 years, unless an action is taken to exempt or preserve them. The Export Market Development Grants (Democratic People’s Republic of Korea Sanctions) Declaration 2009 is due to sunset in October 2019. As this instrument is still required, Austrade will shortly commence the drafting process to remake the instrument. The only changes to the instrument will be to bring it up to the current drafting and publishing standards. For more information, contact EMDG Policy Manager Robyn Agnew no later than 1 February 2019. Export Market Development Grants (EMDG) scheme recipients performed well at the 56th Australian Export Awards, with seven of the 13 category winners being current or former clients of the program. EMDG recipients Aspen Medical and SEAPA were jointly awarded the top prize as Australian Exporter of the Year at a ceremony held at the National Arboretum in Canberra on 27 November 2018. Recipients who won their award categories came from a wide range of industry sectors, including pharmaceuticals, information technology, clinical research, bridal fashion and mining technology. Of 112 business categories at state level, 70 of the category winners are or have been EMDG recipients. The Export Market Development Grants (EMDG) scheme is a financial assistance program for Australian small- to medium-sized businesses. It provides an incentive for current and aspiring export-ready businesses to increase their international marketing and promotion expenditure to achieve more sustainable international sales. In 2017–18 the EMDG scheme made a total of 3706 grants, worth $131.6 million, to qualifying Australian exporters. On Wednesday 27 June 2018 Austrade determined the payout factor for the 2016-17 grant year to be 29.2356 cents in the dollar, for payments above the initial payment ceiling amount of $40,000. Austrade made electronic funds transfers, to the nominated bank account of Applicants entitled to a second tranche payment, on Thursday 28 June. The Hon Steven Ciobo MP, Minister for Trade, Tourism and Investment, has determined the initial payment ceiling for the 2017–18 grant year for the Export Market Development Grants scheme will be $40,000. The initial payment ceiling is the maximum amount paid as a first instalment to reimburse exporters who have made eligible marketing expense applications through the scheme. An initial payment of up to $40,000 provides exporters with a reasonable immediate cash flow, while mitigating the risk of demand exceeding available funding. In addition, it should allow for a reasonable second tranche payment for the 2017–18 grant year. Recipients for the 2017–18 grant year who have an entitlement up to and including $40,000 will be paid in full. Those with entitlements above this amount will receive a second tranche payment at the end of June 2019, the size of which will be determined at that time. Results of a client satisfaction survey of Export Market Development Grants (EMDG) recipients indicate a strong positive response to the assistance provided by the scheme to Australian exporters. Commissioned in July 2017, survey results indicated that 97 per cent of respondents considered receipt of a grant an advantage for their organisation, and 95 per cent said a grant enabled their organisation to become a more sustainable exporter. Respondents discovered EMDG through a range of sources, including Austrade or the Austrade website (26 per cent), business associates (25 per cent), accountants or other professional services providers (24 per cent), and EMDG consultants (13 per cent). The survey was sent to 2,680 clients drawn from Austrade’s EMDG database, and recorded a response rate of 26 per cent. 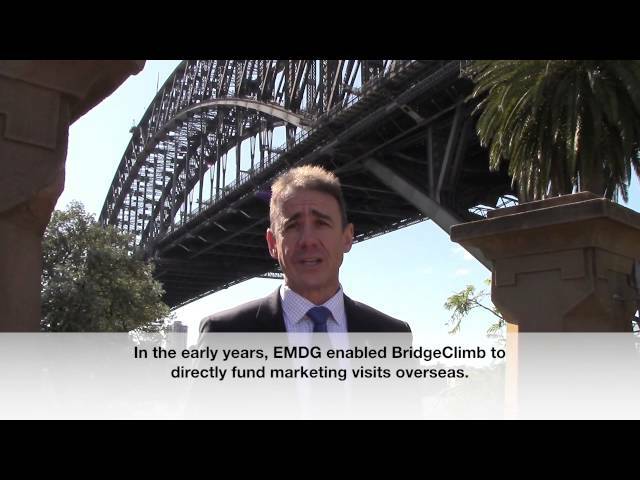 Todd Coates, CEO of BridgeClimb Sydney, talks about the benefits of EMDG. 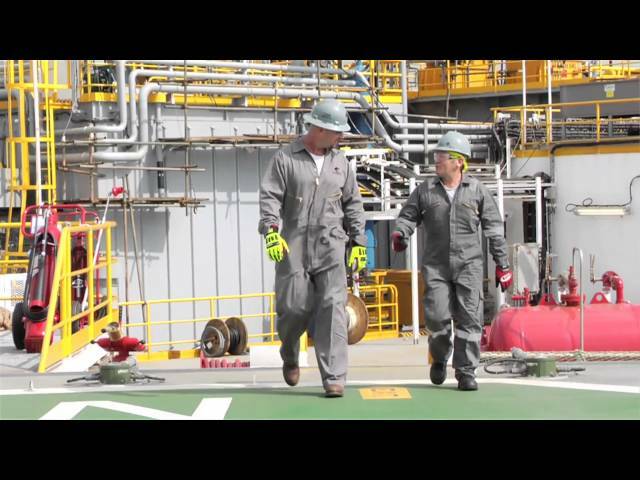 Simon Phin, CEO of Beyond the Break, talks about the benefits of EMDG. 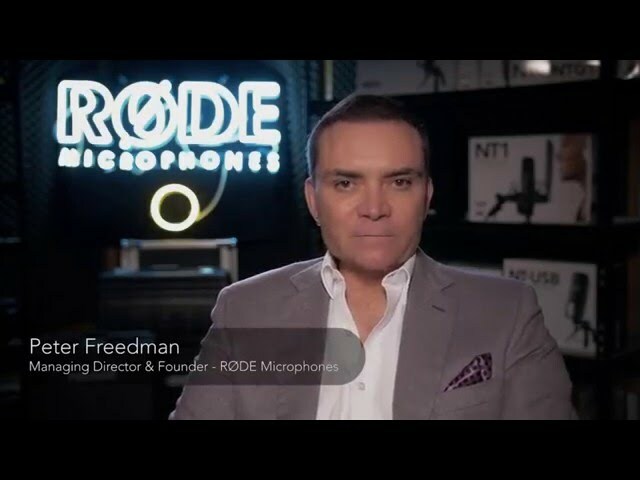 Peter Freedman, Managing Director of RODE Microphones, talks about the benefits of EMDG. Sean Ashby, Managing Director of AussieBum, talks about the benefits of EMDG.